As part of the preparation for the event, I produced a new version of the the Broadband map, showing 2017 data from the Connected Nation report (the original was based on the 2016 data). This gave the opportunity to therefore prepare a third map, showing the change between 2016 and 2017. 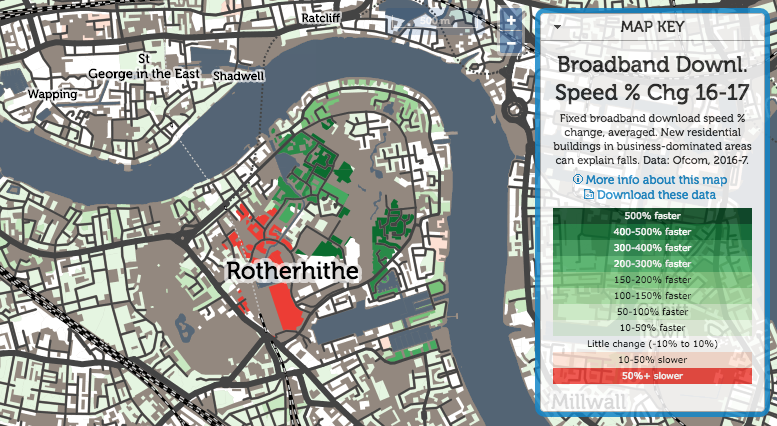 Note that this is showing the change in the average broadband download speed experienced across both business and residential premises conneections, averaged by postcode with each postcode averaged then averaged again across the local output area (which typically contains five postcodes for residential areas, but many more than this for business areas.) 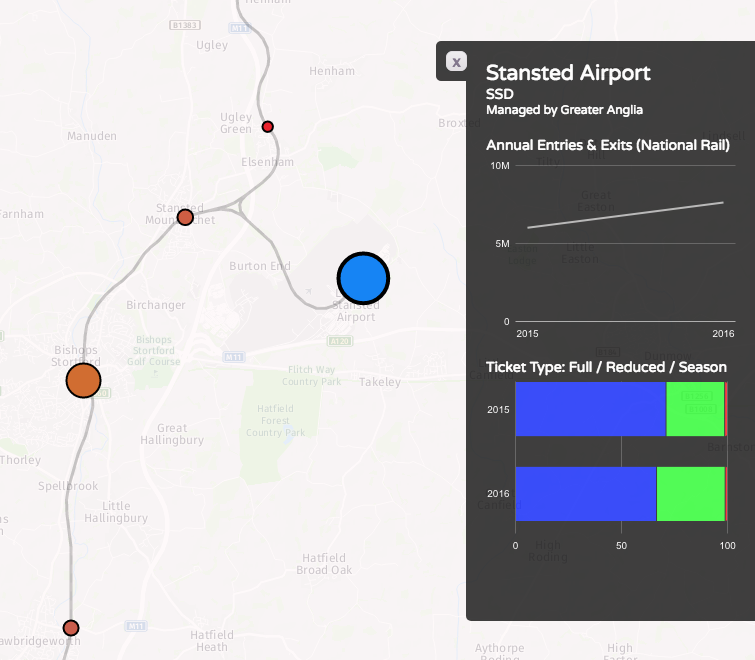 The metric population numbers displayed when you mouse across each area, therefore, is the number of business and residential connections – typically 50-150 for the latter. 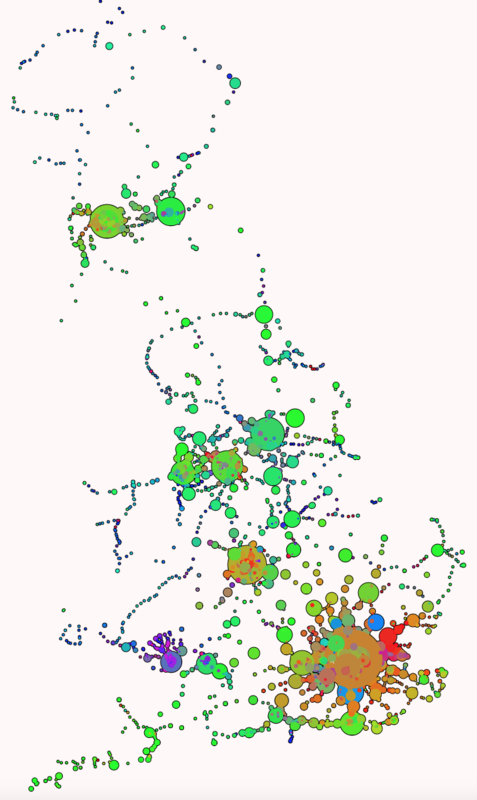 The map shows a general light green gradient across the country, showing broadband connection speeds are gradually increasing, as more and more fibre to the cabinet (FTTC) is installed and people change organically contracts to providers with better service. The places where other colours appear are the interesting results. 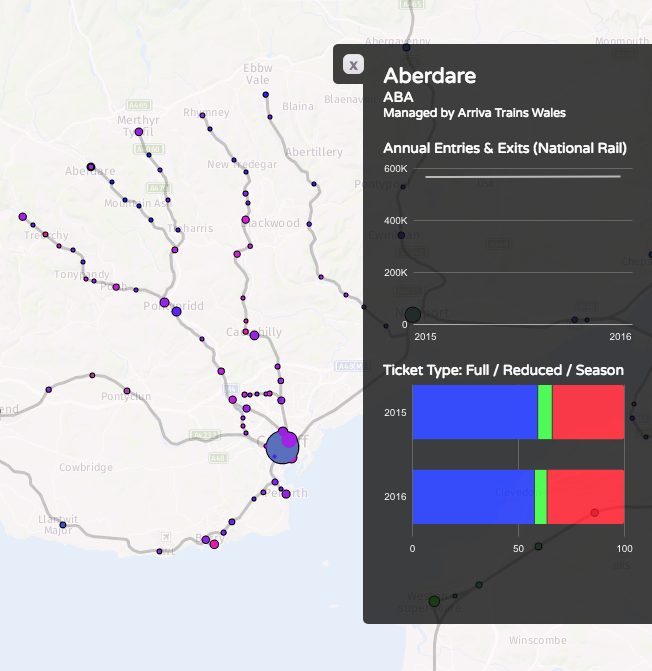 Large increases are seen in rural Lancashire, near Kendal in the Lake District, as a community-driven ultra-high-speed rural service there continues to roll out. More dramatic improvements are seen just to the east of Cheltenham, again a rural area with specialist high technology and defensive industries. 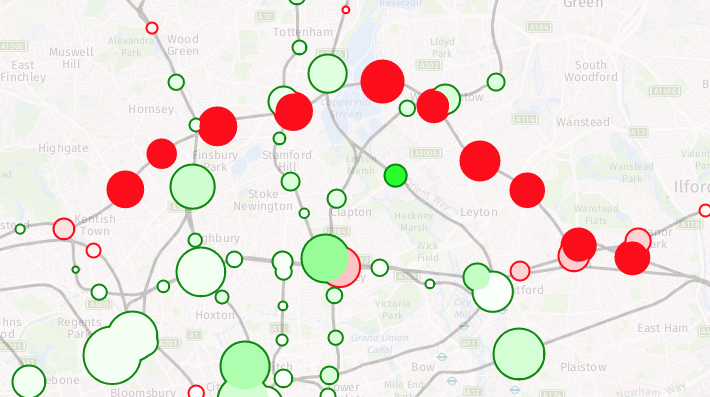 In London, the drop around King’s Cross, the previous year’s fastest postcode, is almost certainly not due to a general decrease in available speed, but actually because residential connections have come online, and demonstrates the problem with aggregating by the residentially defined “Output Area” geography. The previous, ultrafast result was likely due to dedicated ultra-highspeed links into Google’s new UK office, and other high-technology businesses opening there. Since then, the residential blocks nearby have opened. These still have pretty nice connections, but not the business-level infrastructure needed. So, it shows as an average fall in London. 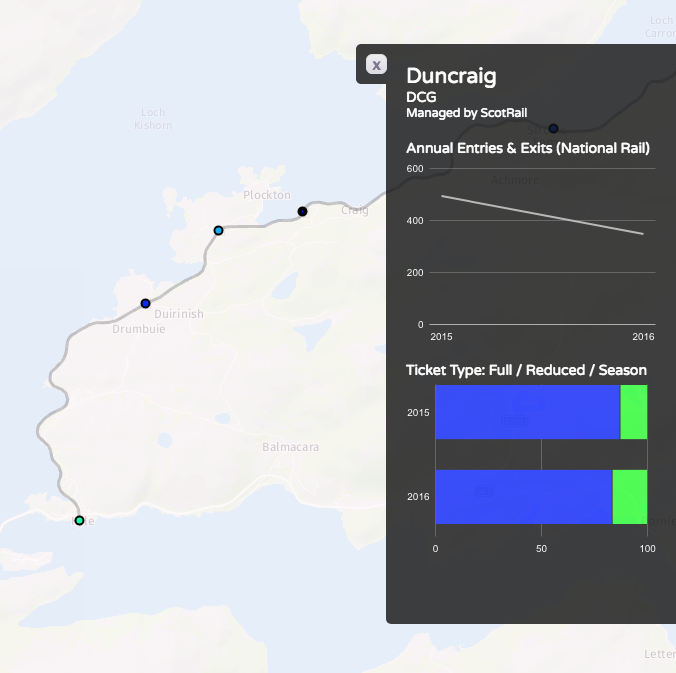 A traditionally very poorly connected area, both in transport but also digital connectivity, it has seen dramatic improvements in many areas. but also big falls in the newest area – again possibly due to an increased residential component in the mix. Explore the broadband difference interactive map. 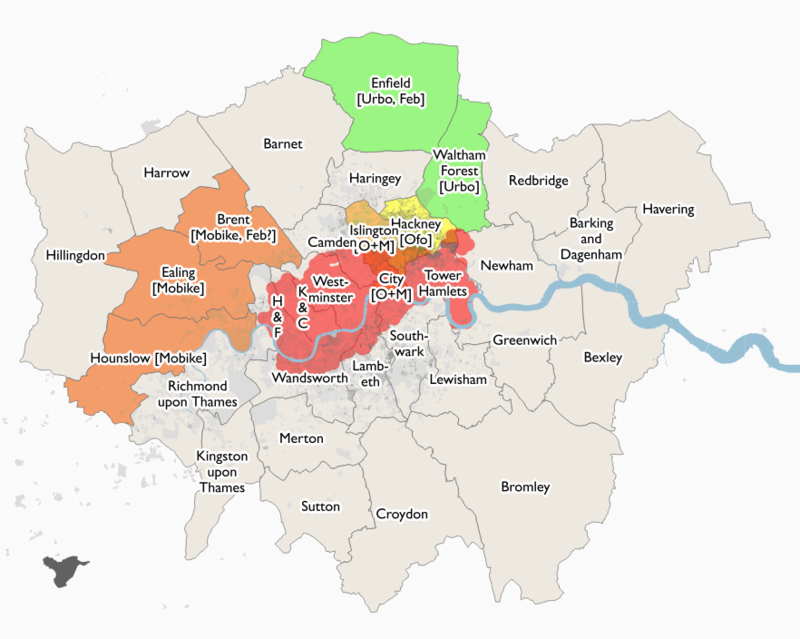 It looks like Brent will be the next London borough to get dockless bikeshare, with Mobike likely to be setting up in the borough within the next few weeks. The operator is not confirmed, although strongly hinted at, including by the council themselves. The choice of Mobike makes sense, as the operator already has a fleet of bikes in the two boroughs to its south, allowing journeys across quite a wide area of west London – although if you want to journey to the centre of the capital on a Mobike, you will still need to finish your journey in Islington or the City, or return the bike back to the three West London boroughs. 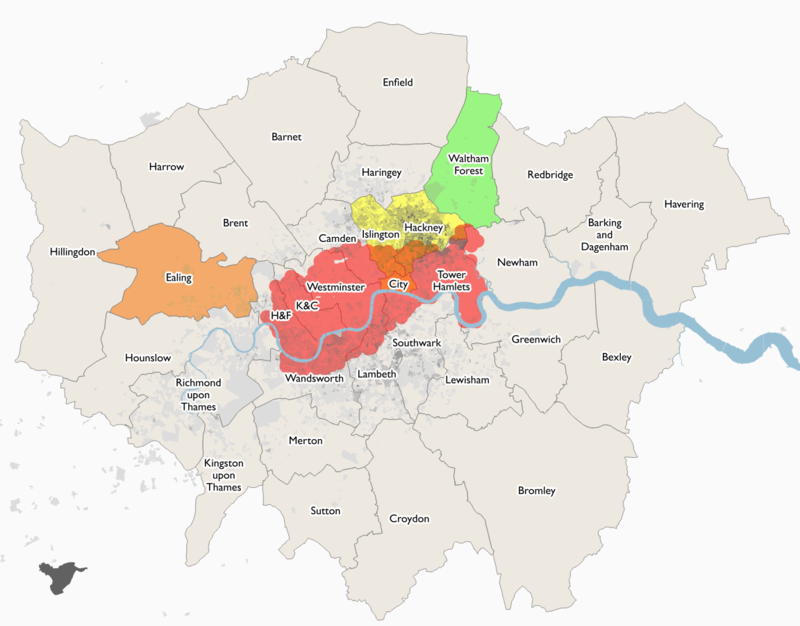 Above is my latest map of London boroughs, showing bikeshare provision. 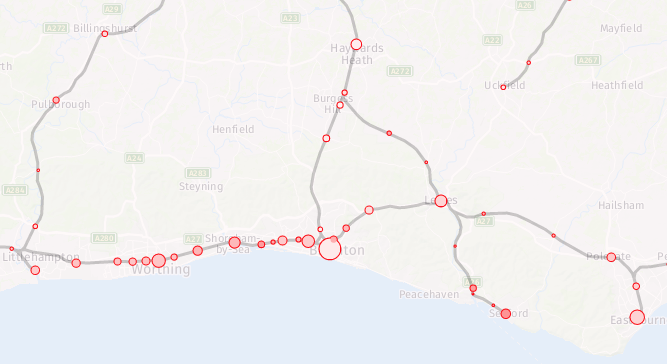 The red circles show Santander Cycles docking stations, while the other colours show the spread of dockless bikeshare – yellow (Ofo), orange (Mobike) and green (Urbo). Darker grey shades show areas of the capital with a high proportion of the resident population cycling to work (2011 census). 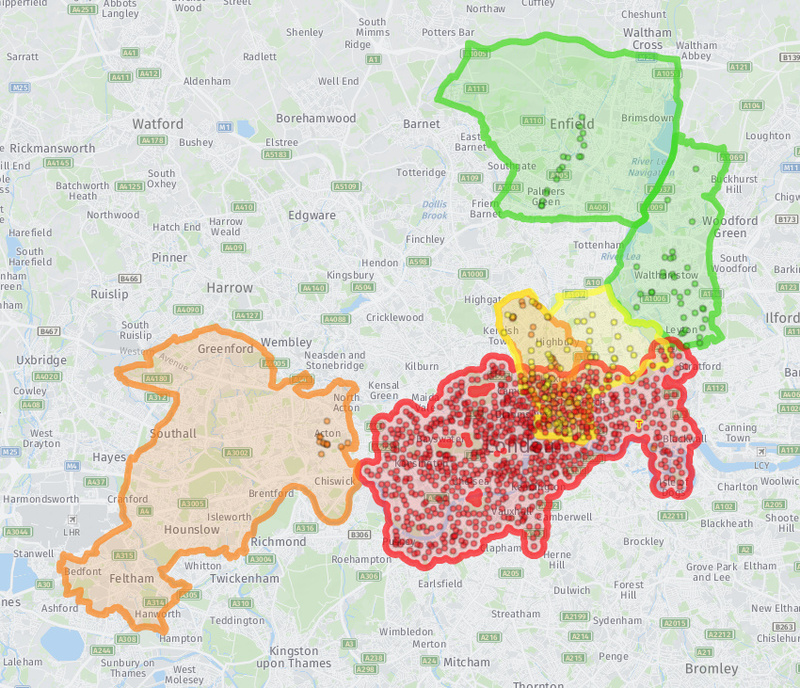 As well as these maps, I have now published interactive maps of the Ofo, Mobike and Urbo current operating areas in London (for all three) and other UK cities (for Ofo). 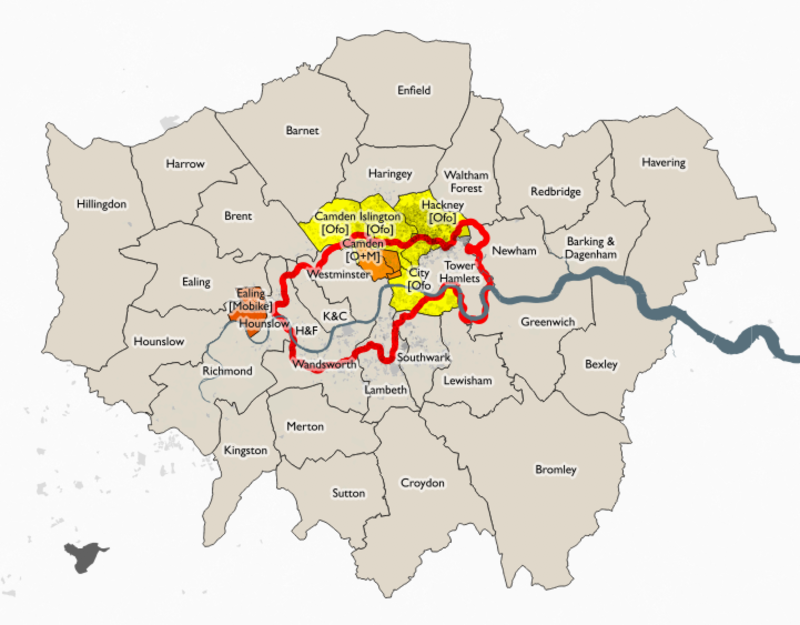 Ofo were kind enough to supply me with their boundary files, for the others, which define their areas by borough boundaries in London, I have simply dissolved these boundaries. Simple spatial analysis shows the current area, in square kilometres, of these systems. See the “Numbers” tab for the latest numbers. There are also individual dock maps for other operators in London (Santander Cycles, 110km2) and Oxford (Oxonbike, 8km2). Operators do not supply consistent numbers of bikes operating in their areas, so I am not currently listing those. 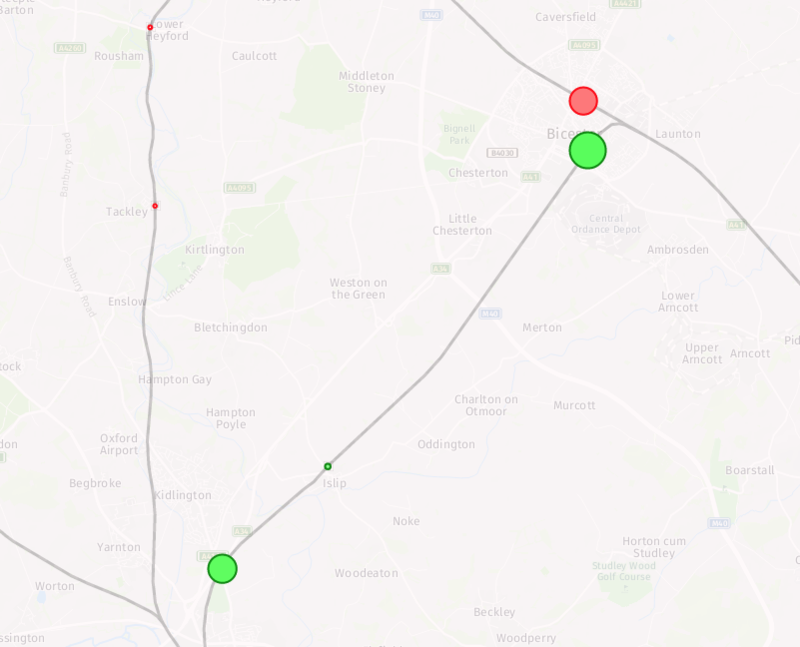 Various press quotes suggest 230 Urbos, 1000 Mobikes and 400 Ofos in London, 150 Ofos in Cambridge, 100 Ofos in Oxford and 200 Ofos in Norwich. This numbers likely include significant numbers that are not currently on the streets and available for use. 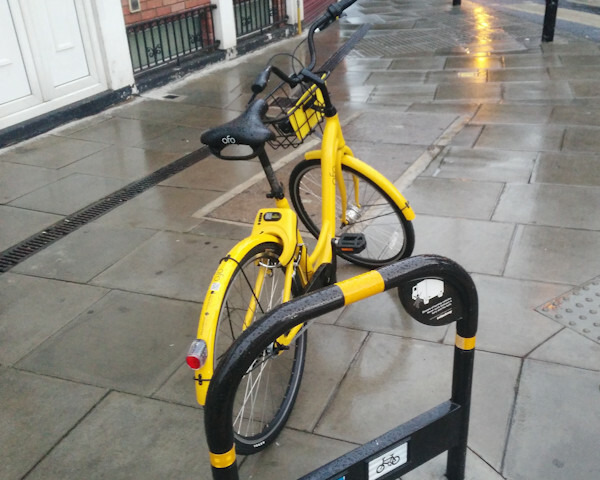 In parts of Islington, there are noticeably fewer Ofo bikes than a few weeks back, where they were previously very visible on on the main roads, while Mobikes are very visible but lined up in neat, operator-placed rows, rather than in the more organic placement you would expect from bona-fide users. There have been no London usage numbers released by the operators so far, despite having been operating for nearly half a year, which suggests they are perhaps not great. To be fair – it is wintertime and it is still early days. Bikeshare system coverage in London, November 2017. Shading: Proportion of people who cycle to work. 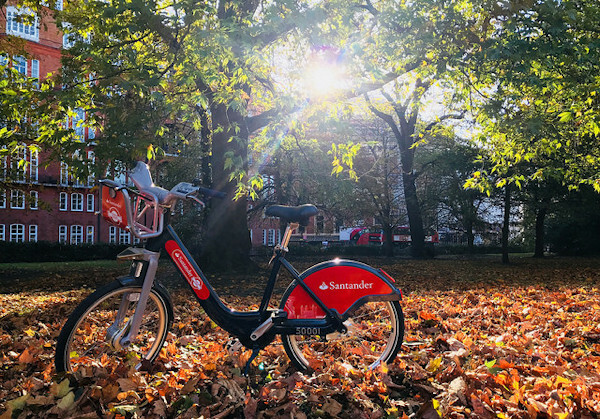 Santander Cycles are red, they launched in July 2010 and currently have 9500 bikes on the street (around 12000 in total), covering an area of 110km across 11 boroughs and the City of London – this sounds impressive, but it is only 7% of London’s area (based on a 500m station buffer), and equates one bike for every 950 people in the capital. You can see the live state of the system (in terms of empty/full docking stations) on Bike Share Map. 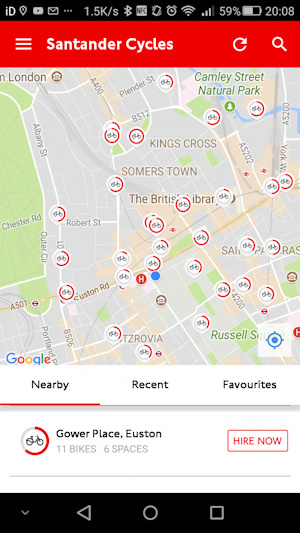 As a publically funded system, Santander Cycles have an excellent open data policy and release live docking station data which can be readily mapped, location information and historic journeys through TfL’s Open Data Portal. Santander Cycles last week unveiled their “50000-series” bikes which are part-manufactured in the UK, with smaller wheels, bluetooth asset tags and a number of other enhancements, although in technology terms they still very much third-generation bikeshare bikes (“dumb” bike, smart dock) and the system remains expensive to use with a complicated pricing structure (£90/year or £2/day membership for journeys under half-hour, £2 per extra half-hour), with any expansion hamstrung by the very expensive docking station installation costs – so its footprint has only slightly expanded in the last few years. There have been some other innovations, such as widespread use of Blaze laserlights, and its current sponsor has also invested considerably in promoting the system. The Santander Cycles system looks expensive and rigid, particularly compared with the newer alternatives. It is, however, in terms of bike quality, maintenance and use, and public acceptance, the “gold standard” of bikeshare in London. 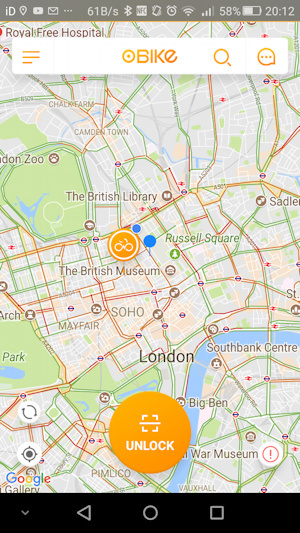 Mobike (orange bikes) were the first dockless fourth generation* (smart bike, dumb dock) compliant (working with local authorities) system in London, which launched in Ealing in July this year – a far from obvious place to launch, as Ealing has a very low tradition of cycling in general (no dark areas in the map above). However, Mobike did have UK experience before, having had a bigger and higher-profile launch in two of Greater Manchester boroughs. Mobike persevered through initial bad publicity due to vandalism and can be seen on many streets of the city. Personally, I found Mobike extremely uncomfortable to cycle – their bikes have been shipped from the far east with little customisation, and their frames are designed for the far eastern rather than the European build (Europeans are typically bigger!) At its maximum extended saddle position, it was uncomfortably tiny to pedal one. This is a pity, presumably the extremely cheap mass manufacturing costs of sticking with their global design were too tempting. The Ealing launch had a reported 750 bicycles although as ever you have to take the numbers with a pinch of salt. 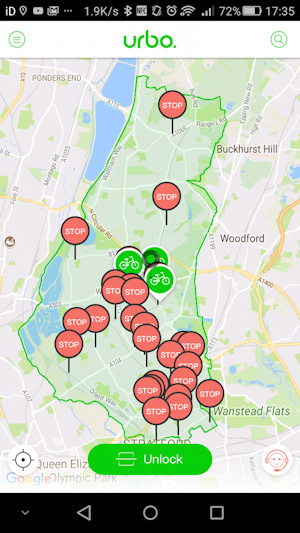 A quick look at the app reveals around 160 bikes in the preferred zones and around 10 parked elsewhere. Mobike is very cheap and has a simple to understand pricing model (£29 joining fee then 50p per half-hour ride). One nice touch is that if you have a membership of the Manchester system, it will work fine in London too. 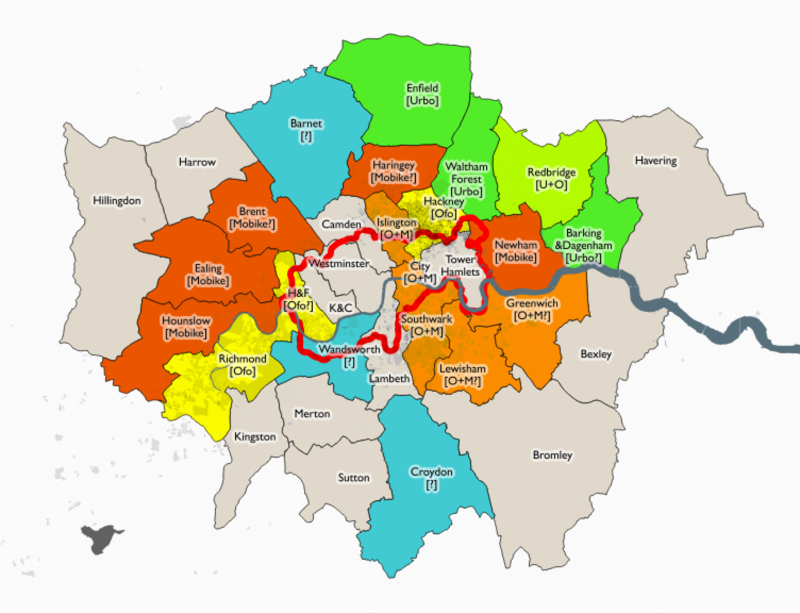 Ealing is not a densely populated inner-city borough and the 750 bicycles serve a huge 56 square kilometres – in practice, as shown on the app map, the bikes (and zones, shown with a “P”) are clustered in the eastern edge of the borough, around Acton. I wish Mobike good luck but they need more comfortable bikes and to get into a borough with an established cycling tradition, and operate around a larger area than the few square miles in the eastern end of this borough. 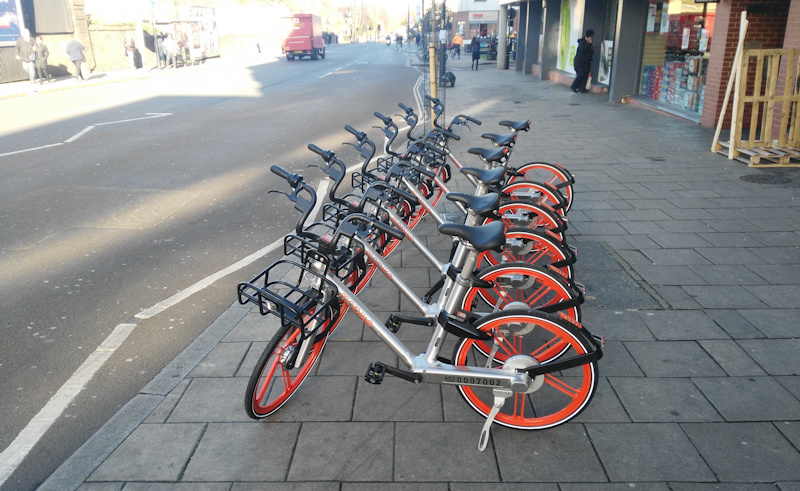 Mobike, as a fully commercial operation, does not release bikeshare open data for Ealing (dockless bikeshare data does have theoretically considerable economic value), although they have plans to release it for Manchester (likely a stipulation from the local authority there) so maybe it will come here too in time. Ofo (yellow bikes) are, like Mobike, a big global player in dockless fourth generation bikeshare. 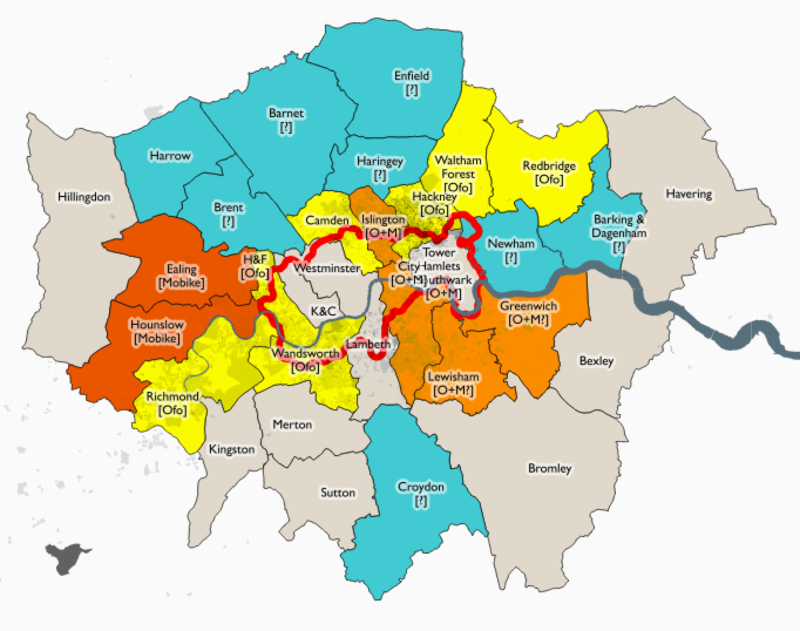 They launched in Hackney – London’s spiritual home of regular cycling – in September, and have just announced (this week) an expansion to the neighbouring borough of Islington and the City of London, meaning serious commute potential of these bikes. I have ridden an Ofo bike (a one-off in Manchester) and found it extremely comfortable – it felt like riding a “real” bike rather than an approximation of one. Like Mobike, Ofo have a low joining fee, a flat rate for usage and the membership can be used in their other systems (including Cambridge in the UK). 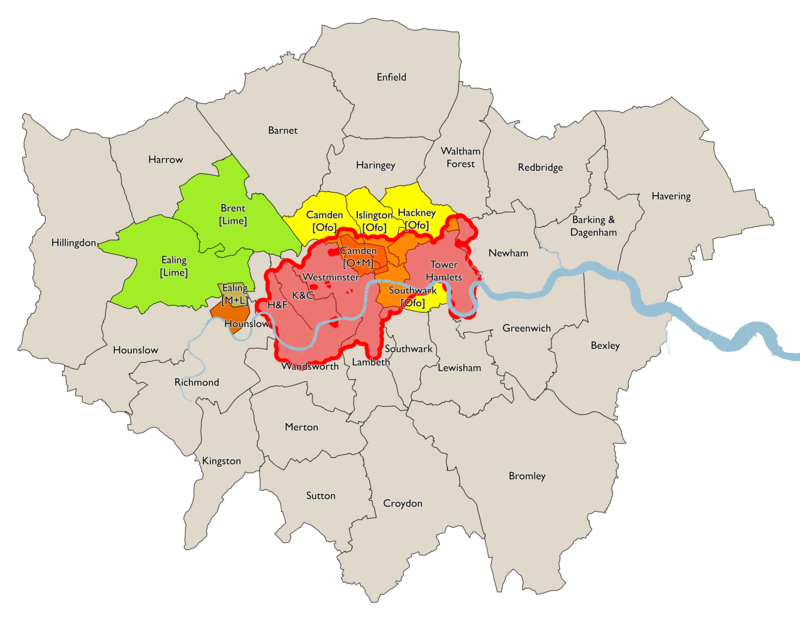 Ofo has targetted boroughs with a good cycling tradition and also is, in some parts of the boroughs, in direct competition with the incumbent Santander Cycles – the only one to do so (see map below). Hopefully this competition will lead to innovations on both sides and not damage either. Photo: Paul Gasson on Twitter. Urbo (green bikes) are another dockless fourth generation bikeshare operator. They are an Irish company, although they are buying the bikes and technology (e.g. the smart lock and the apps) from China and customising locally. Their bikes are the most attractive of the new dockless bikeshare bikes I have seen (with a nice curve design on the frame) and appear (I haven’t ridden one yet) to be similar in overall build style, and so hopefully comfort, to Ofo’s bikes. Waltham Forest (39 sqkm in east London with some tradition of cycling, on its western edge) is their first system and it has only just launched this week. 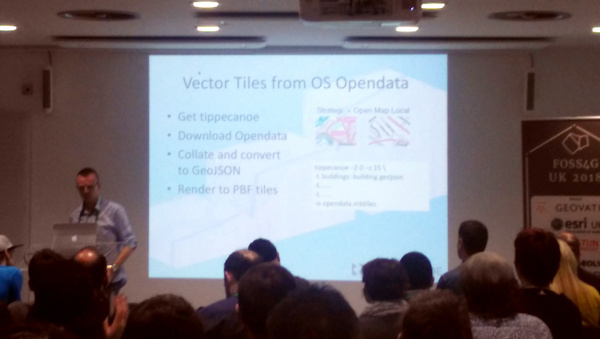 They also do not yet release open data (although they have only just launched). 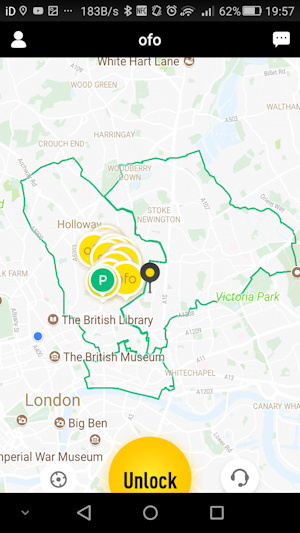 Ofo may be most useful for residents of Higham Hill, Poets Corner, the top of Walthamstow Village and certain other parts of the borough to get quickly to the stations on the efficient Victoria Line or Overground to central London. Then there’s oBike (orangey-yellow) which launched in July without coordinating with boroughs (using the Uber-style “forgiveness is easier than permission” modal), had a number of its bikes impounded by Wandsworth borough and withdrew from the capital – almost all of its bikes are lurking behind locked gates in an industrial park in Rainham so they aren’t included on the maps here. There is the odd one that got away from the purge and remains in central London. They will return, I’m sure, once the company has a strategy for compliance with TfL and the boroughs. oBike did at least wake up authorities to the fourth generation revolution, and force some much-needed policy documents to be hastily released. I rode a few oBikes and found them more comfortable than the Mobike but not as good as Ofo, Urbo or Santander Cycles. Of course, it’s hard to know how well these systems are being used, particularly as dockless systems don’t generally release this information (except if the numbers are particularly good, as occasional press releases). 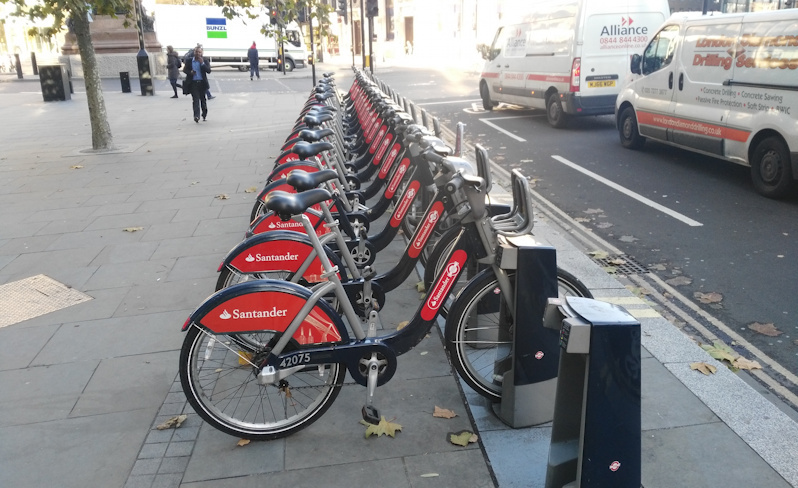 Santander Cycles reliably gets around 20000-40000 usages a day (i.e. 2-4 usages/bike/day), and certainly, on the more central parts of the Cycle Superhighways during rush hour, there is a sea of red Santander Cycles amongst the other cyclists. Anecdotally, I’ve a couple of Ofo bikes in use, but this is a bit unfair on Ofo and Urbo – I regularly cycle through Hackney on my own bike, but don’t generally pass Waltham Forest and Ealing. 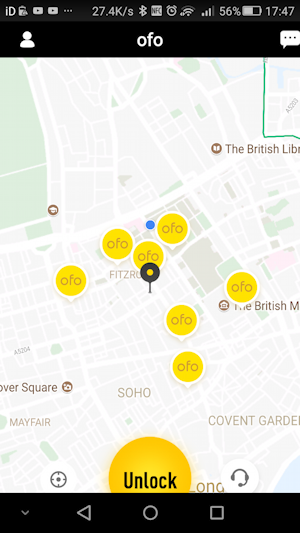 My sneaking suspicion is that Ofo will do quite well, by targeting the boroughs where there are going to be a lot of cyclists, and that Mobike and Urbo will either have to expand or will stay irrelevant in London’s overall cycling picture. This sounds harsh, but, as DataShine Region Commute and TubeHeartbeat show, Londoners move beyond their borough boundaries a lot. We shall see, we live in interesting times for bikeshare. 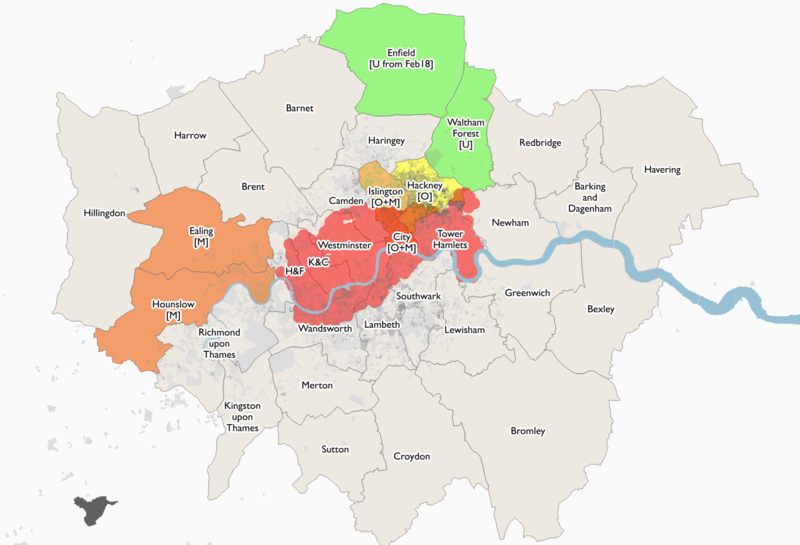 This map (an inset of the map above) shows the reach of the four systems (excluding oBike) in London. 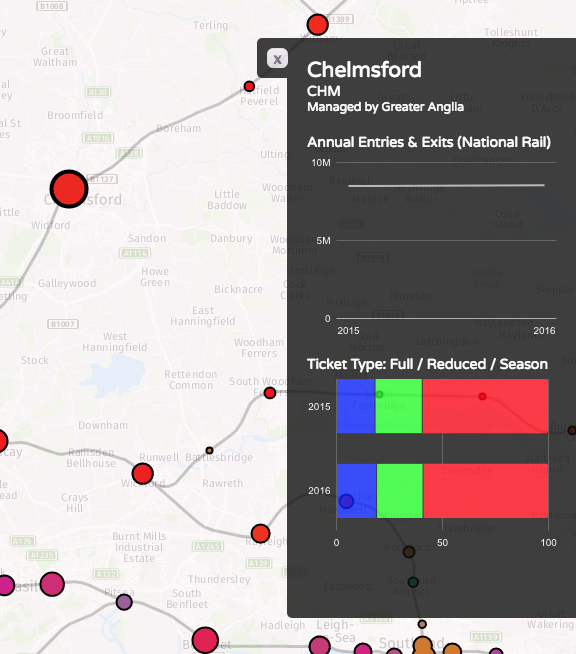 The shading behind shows the proportion of residents there who cycle to work (2011 Census data, Copyright ONS) and therefore likely enjoy good cycle infrastructure and community (e.g. cycle cafes, cycle repair workshops) that would help integrate bikeshare. 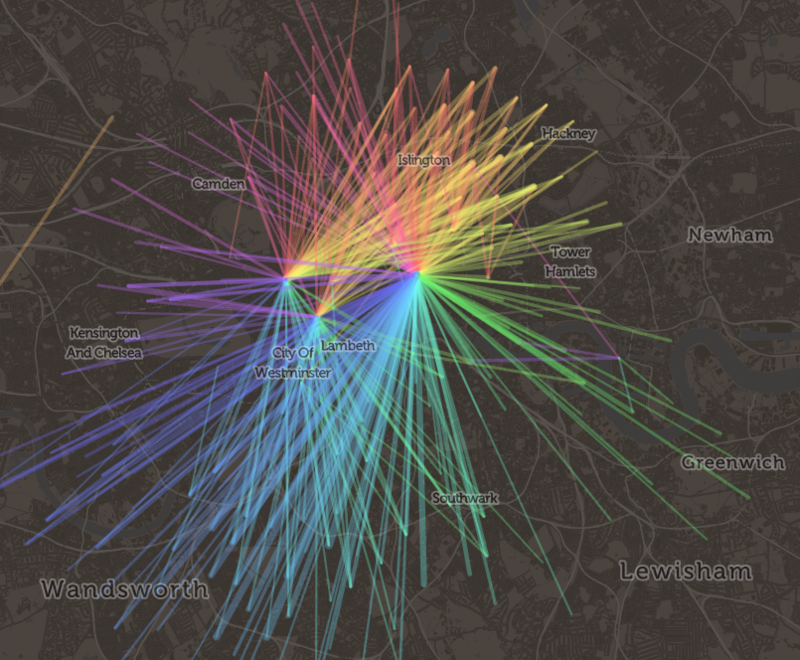 Parts of Southwark and Lambeth look woefully underserved. * The first generation of bikeshare systems were free bikes, left on streets for people to use. Inevitably they were stolen or broken. Second generation bikeshare systems used “dumb docking stations” where cash was used to release them. Users were therefore only out by the cash amount if they didn’t release them, and operators didn’t know where they were without visiting the docks, so again they got stolen and/or broken. Third generation bikeshare systems require the user to use credit cards (and so charge a large amount for non-return) and use smart docking stations which can report the status of themselves and their bikes. They have been very popular for the last few years, but require a large up-front investment and are very expensive to operate and maintain, so most are publically subsidised. 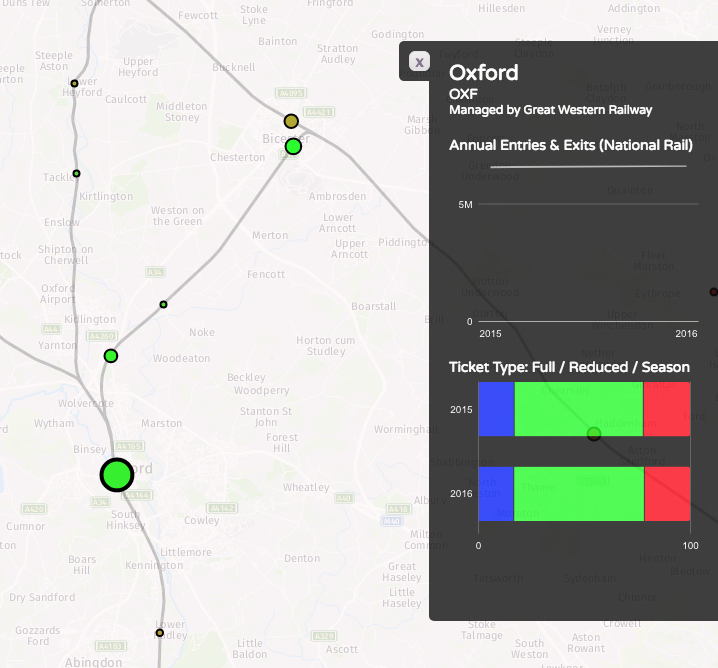 Minor advances to these (such as GPS on some bikes, or integration with transit smart cards) are sometimes termed as fourth generation but are actually really just usability tweaks to fundamentally the same third generation concept. I am terming the new dockless systems, where the bikes know where they are (through an app, or their own communications) as fourth generation. 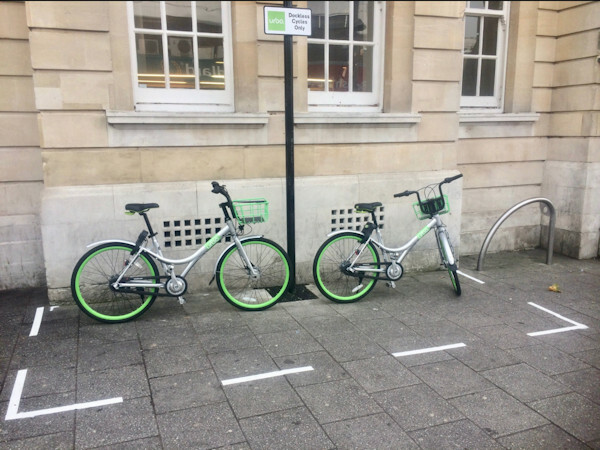 Physical docking stations can still exist on the ground, to manage the bikes or provide a known starting location, but the bikes don’t have to be left there, if inconvenient – the “hybrid” model, as used in Brighton. Zoned dockless systems (Urbo, Mobike) have tapes on the ground as “preferred” docking zones, replacing the physical docks. Incentive dockless systems (Ofo) don’t even have the tapes – just virtual locations that appear in the app). The Pure dockless systems (oBike) don’t even have anything – inevitably resulting in bikes being scattered through an area. ** These numbers, reported in media and press releases, will invariably be higher that the “available bikes” currently on the streets (or visible in the app, in the case of the dockless systems). The difference can typically be explained by bikes will be in repair or reported broken, some will be in active use (although generally I try to measure at night to avoid this) or in redistribution, some will be in the warehouse, ready to come out in the near future. Ultimately though, if the bikes aren’t available for use, then they aren’t really any good to anyone, so bikes on streets is the number the operators should be reporting! *** For larger, commuter heavy systems (like Santander Cycles) that are dock-based, there are good operational reasons to slightly reduce the numbers of bikes available during the winter months (where the commuter mode share will be higher) as the flows are more undirectional and therefore full-dock pressures are otherwise worse. In the summer, tourist use acts as a natural rebalancer. 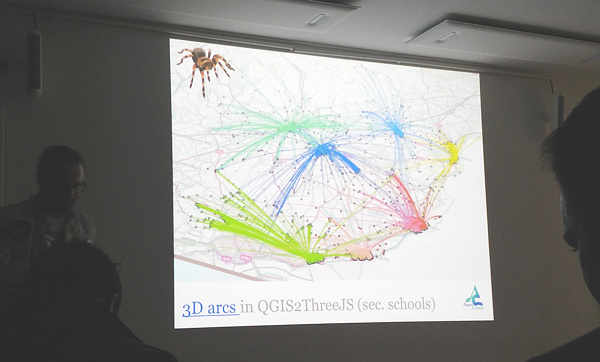 I presented at the BikePlus Future of Bike Share Conference in Manchester in late September, as part of a panel session on social benefits of public Bike Share Data. 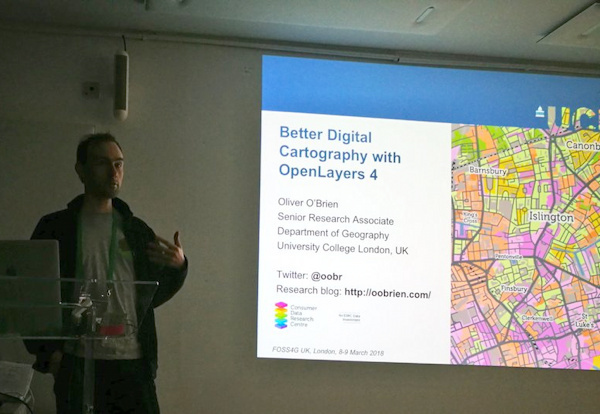 I framed my presentation in the context of open data, whereby operators or technology providers of bikeshare systems, and/or municipalities containing them, release data on the systems on an open data basis, allowing unrestricted analysis and reuse of the data. This is distinct from controlled access to the data, where typically an operator provides data to a local council in exchange for the authority’s blessing/cooperation/support. 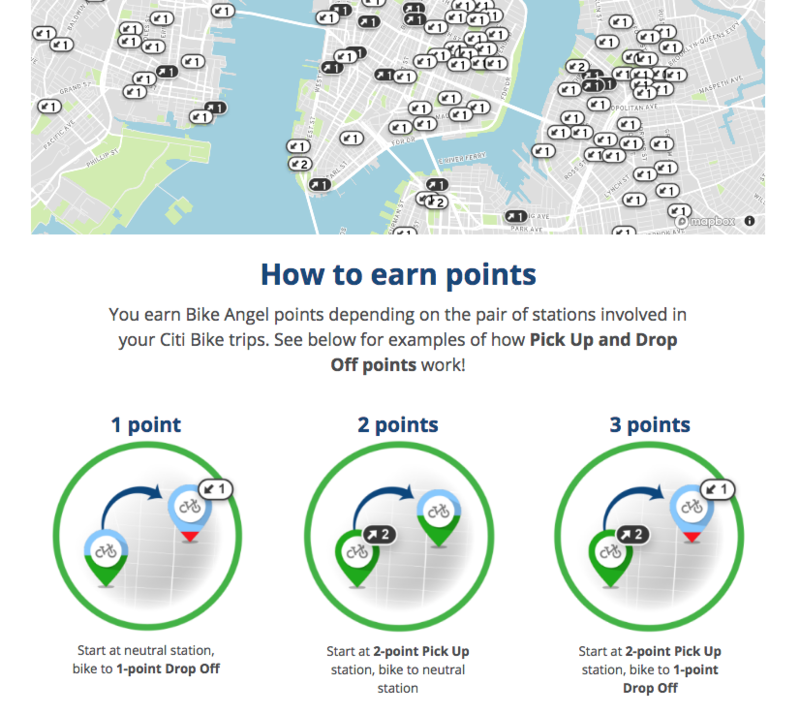 Creating “app” ecosystems around a bikeshare – making greater and better use of often publicly financed systems, by the public. Effective targeting of cycling infrastructure – understanding where the users go so that infrastructure investments are beneficial. Improved public visibility – Press coverage and helping with public acceptance of a private business using publically owned assets (i.e. pavement space). 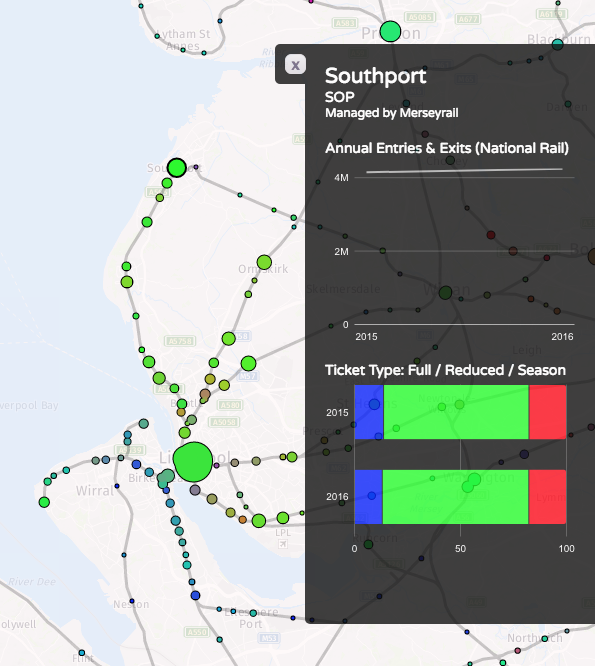 Better management – novel visualisations of fleet and activity, and enabling easy experimentation of new redistribution strategies devised by specialists. 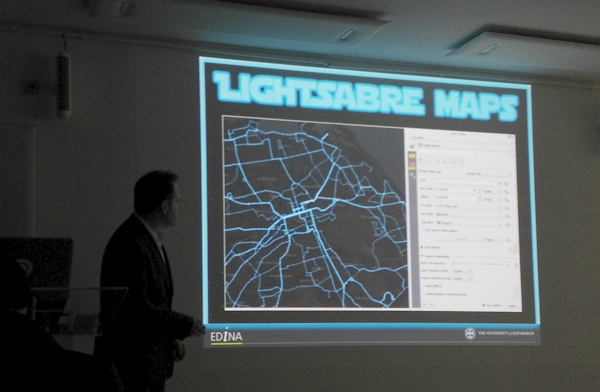 The final part of the presentation was a research and data summary from my perspective, and a wishlist. In particular, I mentioned and enthused on GBFS, an emerging, operator-led standard format for bikeshare data, which will likely be useful for integrating bikeshare with independent multi-city journey planners (e.g. 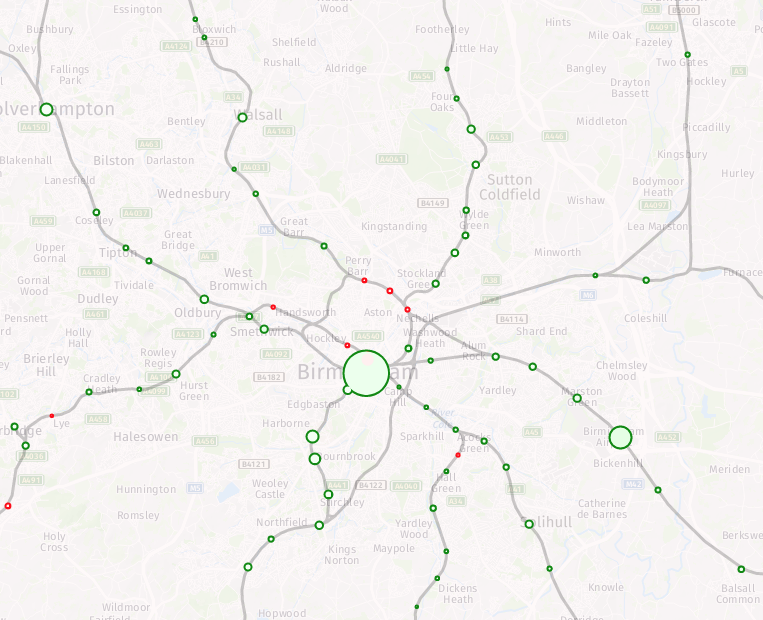 Google Maps, CityMapper) – and useful for me too in managing data feeds from over 250 cities currently, in Bike Share Map. The conference also included a led ride around some of Manchester’s key cycle infrastructure, including the Oxford Road segregated lanes. 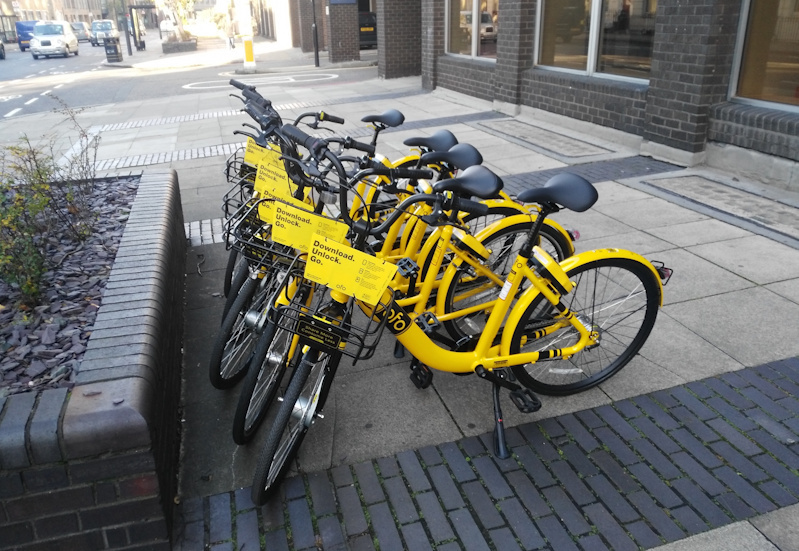 The bikeshare bikes provided for the ride were dockless bikes supplied by Ofo (who run UK systems in Cambridge and Hackney, London, as well as various other locations around the world) and Urbo (a new Irish start-up who are adopting the Chinese dockless model and bringing their bikes to Waltham Forest, also in London, launching at the end of October). 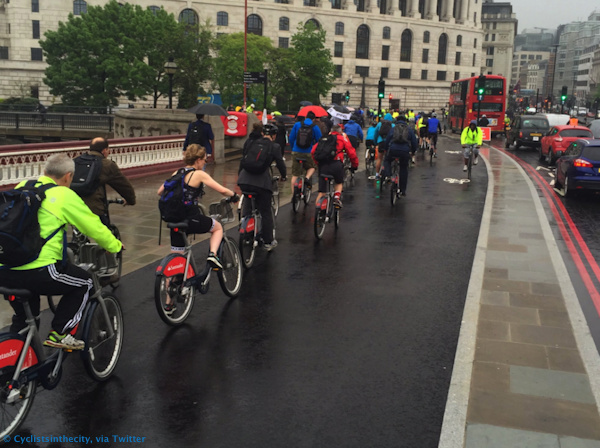 Photo: © Cyclistsinthecity, via Twitter.